Humidity. Ugh. One of my least favorite things on the planet. Every year, my family goes to Hawaii and for the past two years, I’ve tried to fight the humidity against my naturally curly hair. I would spend tons of time trying to style it with hot tools just like I did at home and then walk outside and in 10 minutes be dealing with a huge frizz fest. NOT fun. This year I decided that I was going to fully EMBRACE my natural curls and try to not apply any hot tools for the whole week trip. I had to definitely find the perfect products and experiment a little bit before hand to make sure I could master the frizz free natural curl look. All in all, I think I perfected the products that worked for me and saved myself a whole lot of time and frustration by just embracing my crazy wild curls. You wouldn’t think so, but the way your hair styles and acts during the day really goes all the way back to what shampoo and conditioner you used. When I know I’m going to be “going curly” I’ll wash my hair with Living Proof’s No Frizz Smoothing Shampoo & Conditioner. This has worked best for really starting the process of controlling my frizzy mane. After I shower and towel dry my hair, I’ll comb through it with the Original Detangling Brush. I got my first Tangle Teezer brush when I went to London a couple years back because if you were truly British, you had a Tangle Teezer brush. So of course I got one. This brush is perfect for traveling and really does detangle your hair in an instant. Next, I’ll apply a dime size amount of Living Proof’s No Frizz Styling Cream into my hands and run it through my damp hair. Air dry for about 5 minutes. Now time to perfect those curls. After my hair air drys completely, I’ll run a dime size amount of Moroccan Oil through it to keep it shiny and frizz free. Hair Spray? Sometimes I’ll spray it if I feel like it. Sometime I won’t. If I feel like it’s still too out of control, I’ll throw a couple of cute rose gold Ban.do Bobby Pins in it to tame those crazy curls. Well, there you have it friends. 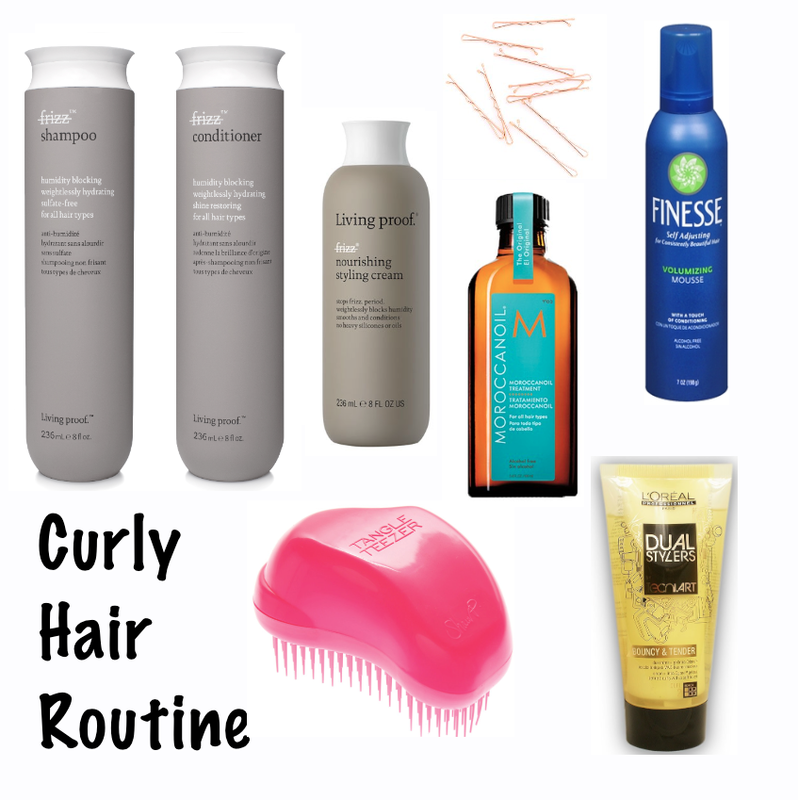 My curly hair routine. Thanks for reading and I hope it helps all my curly hair girls out there! Now I’m off to Portland for the weekend! Have a great one! 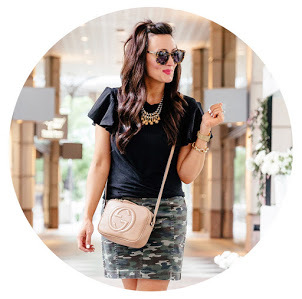 Previous Post Final Week of the Nordstrom Sale! Seriously, the Finesse Mousse is the only one I love! I definitely have to try the L'Oreal gel though!